Logistik Group has appointed award-winning TV producer Jon Doyle as senior producer. 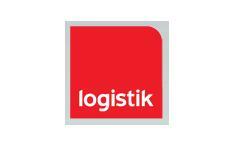 Logistik said that his appointment will enable it to further expand its business. Doyle has 14 years’ experience in TV production, working for companies including ITV Productions, Talkback Thames, RDF Television and Splash Media. He said: "Logistik are a truly integrated communications agency with extensive in-house facilities, and an impressive client base to match. It is an exciting time to join the motion team as the agency continues to expand." Marc Allott, Logistik’s creative services director, added: "Jon's documentary experience further strengthens our video offer. The creativity and knowledge he brings is priceless and we look forward to him developing the department further throughout 2012."